And that’s a wrap! We recently arrived back after four days in Las Vegas for this year’s Consumer Electronics Show (CES), one of the largest global electronics and technology trade shows in the world. We had a blast demoing our new Ooma Safety Phone and Ooma Office, while checking out all sorts of products on the showroom floor (in case you missed it, we took a picture with 90’s musical icon Vanilla Ice)! There was no shortage of gadgets to tinker with and people to meet, so we wanted to share some of our favorite products and companies at CES. Basis Health Tracker: The sleek wristband health tracker with advanced sensors continuously captures heart rate patterns, motion and calorie expenditure by activity. Looking to get off the couch and get fit in 2014? If so, we recommend you check it out. STERN Pinball machine: Yes, you read that right. This old-school product is making a comeback and offers Transformers, Avengers, AC/DC and Star Wars-themed games. Enough said. 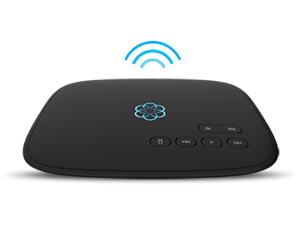 Channel Master DVR+: This small box lets you record locally broadcast shows without paying a monthly fee. 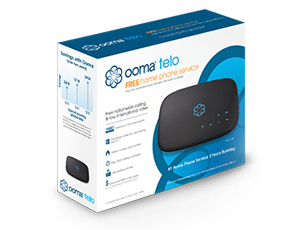 Pair this with an Ooma Telo and you have a money-saving match made in heaven. Kindle Fire HDX tablet: As our kids would say, Kindle’s new HD e-reader is “hella cool.” It’s portable, lightweight and offers a blindingly clear screen. Revolve: The environmentally friendly electronics company uses natural, recycled and sustainable materials to make beautifully designed hybrid chargers and battery backup products. We’re also impressed with its commitment to sustainability. Since so many reporters all over the country write about CES, you’ve likely seen some of the coverage. Gadget-fanatic or not, tweet us or comment about what new technology most excites you and why! As always, we love hearing from you. We’re looking forward to getting our hands on some of the items above…and we’re also happy to finally rest our feet after almost a week spent walking the CES floor. Until next year!